Do you have a personal development plan to help you succeed in your MLM business? There’s a very old saying that goes ‘practice makes perfect’ and, when it comes to almost anything in life, this age-worn maxim still holds true today. Having a personal development plan is a must to succeed in life. The more personal development that you engage in the better off you will be in all you do in your life, your relationships and your profession. The more you practice something, the better you will eventually become at that thing, whether it’s playing an instrument, speaking in public, writing Blog articles or being a successful leader in your MLM business. This is all part of personal development. Like practice, a personal development plan will help you to achieve the goals and garner the success that you need and deserve. If you want to retire a millionaire for example you may need to read about investing, take a course on the subject, talk to experts in the field and actually start making investments on your own. Do this long enough and you will become an expert investor. In the same way, if you want to achieve MLM success, you need to work on developing yourself into the type of person that others want to be in business with. We are not born with leadership skills and a personal development plan will help you to grow in that area. The fact is, the person who stops learning stops growing. The person, on the other hand, that strives to learn more every day will be the one who achieves their goals and exceeds their dreams. If you want to be better at your MLM business, you need to focus on the things that will make you that person and practice them. Taking a personal development course, learning a new skill, watching a video series or simply just meditating every day for 15 minutes are all personal development activities that can and will help you achieve the MLM success you desire. At the end of the day personal development is all about doing something to enrich your life and make yourself a better, more well-rounded individual. Personal development will make you a better person, able to handle all that life throws at you with much more ease, grace and confidence. That is exactly what you need to be a leader in your profession. How much effort do you put into your self-development? Are you working hard on yourself? If the answer is NO, I recommend you start your personal development plan today. You may not see the point of this right now but I promise you that you will if you stick with it every day. I’m sure you spend time learning about your company and details about the products or service. 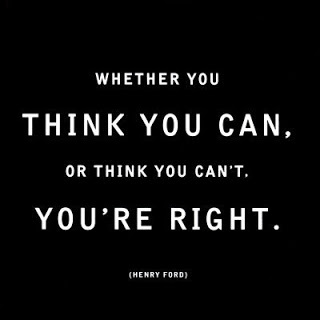 That’s all good but the most important thing you need to work on for true MLM success is your mindset. The key to getting your mind right is your personal development plan and consistency in putting the things you learn into action. Spend 30 minutes a day reading motivational books. You can also listen to audio, which is easy to do while in your car. I keep several personal development CDs in my car. Think of how much more you will grow as a person by listening to a learning audio instead of music or talk radio. You can also get your own personal development audios for your mobile device and take it with you wherever you go. Attend company events and conference calls. Being around like-minded, energized people can make all the difference to you. It’s very motivating to be with people who are achieving MLM success and can show you the way. Don’t miss out on these events! They are as important to your personal development plan as reading each day. Once you start learning, ask yourself what you will do with all the information. If all you do is learn, success will continue to be out of reach. You must apply what you learn constantly so you can move to the next level of your personal development plan and teach others what you have learned. And remember, MLM success may not happen overnight. You need to get on the 5 year personal development plan to really experience true success in your business and life. I started seeing results once I started working on myself, putting what I learned into action and taught others the successful practices I learned. If you don’t have a plan for success, click here to learn about to fill your personal development needs. It’s convenient, easy to use, and you can take it wherever you go! Leave a comment about how your personal development plan helped you achieve MLM success. What a fantastic discussion. It really help me more to develop myself.